I love chefs with a passion. To say that Anna Harouvis has passion is an understatement. 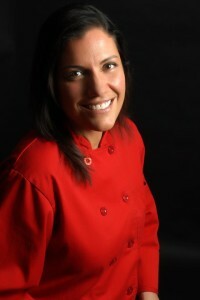 Chef Anna has got to be one of the few people I know that deeply care about people, health and cooking. Her unique spin on food is shown at Good to Go Cafe, located in the IMG building downtown. Whether it’s salads, wraps or juices, Anna puts her passion into her food. Chef Anna Rocks. End of Story. So, when I heard about Chef Anna’s juice cleanse from a number of my friends (including local chefs like Chris Hodgson and Rocco Whalen), I knew I wanted to give this one a spin. I know a lot of friends have had great success with juice cleanse and so I’m signing up and along with Anna, doing a weekend of her juice cleanse. This weekend (starting Saturday), I’ll start my three-day juice cleanse (I wanted to avoid doing it during the work week, in case hanger – hunger and anger – set in). I’m looking forward to trying the cleanse and will report back next week. Based on the reviews I’ve heard so far, I will be energized and feeling great (which, for someone who has thyroid issues, is totally wanted). Learn more about the juice cleanse here. Not only are you helping to make yourself feel better, you are also supporting a local Cleveland chef. Can’t wait to hear how this goes! I’m considering a juice cleanse before our trip in March. This is awesome! I’ve been wanting to do a cleanse and now that I’m back from Mexico (and 5 days of stuffing my face/drinking everything) I think this would be perfect. I also love that it’s local! Can’t wait to hear back! It’s good stuff. You will be surprised how good the juices taste!